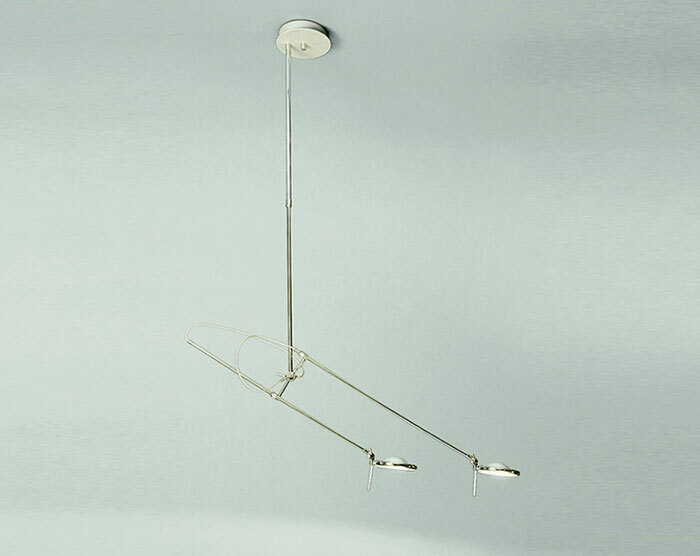 this ceiling light fixture for interiors IP20 is made of chrome–brass. it is equipped with telescopic arms that can rotate through 355° and with adjustable reflectors that change its look and make it very flexible. 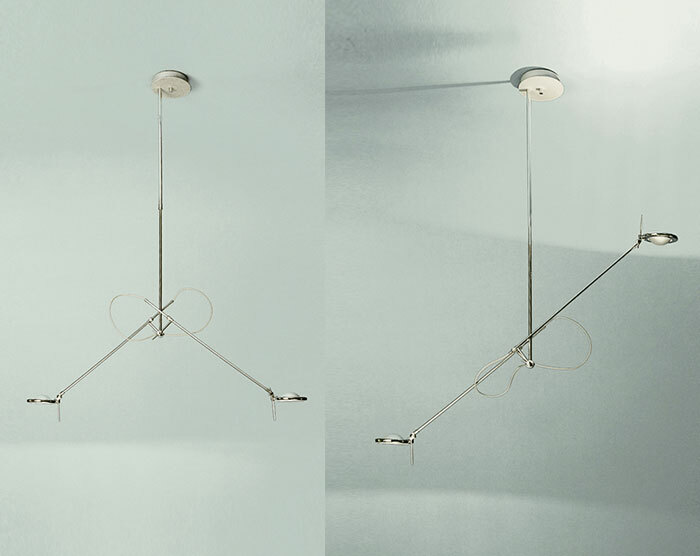 dimensions profile: wired for two 12V 50W halogen GY6,35 lamps, it is supplied with a 105W 230/12V IMQ CE transformer.